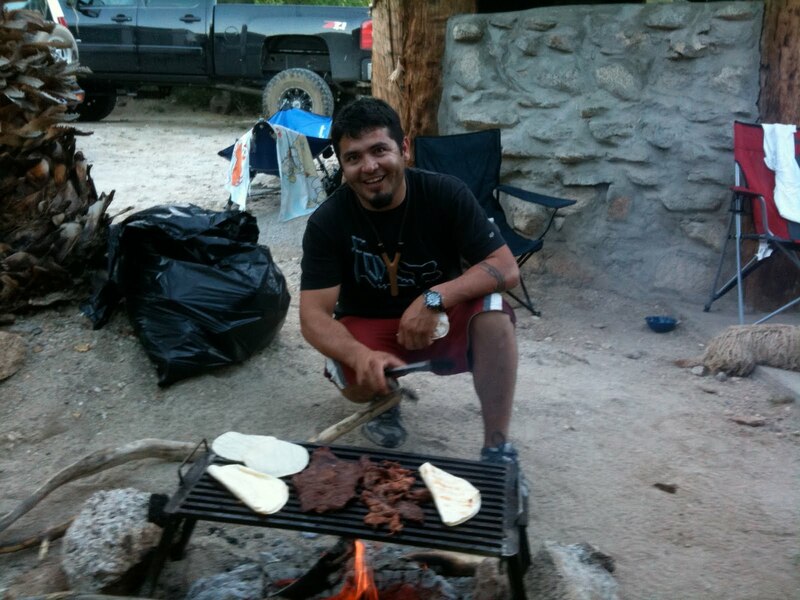 Every year we go camping at Guadalupe Canyon in Mexico. An oasis in the desert with natural hot springs. 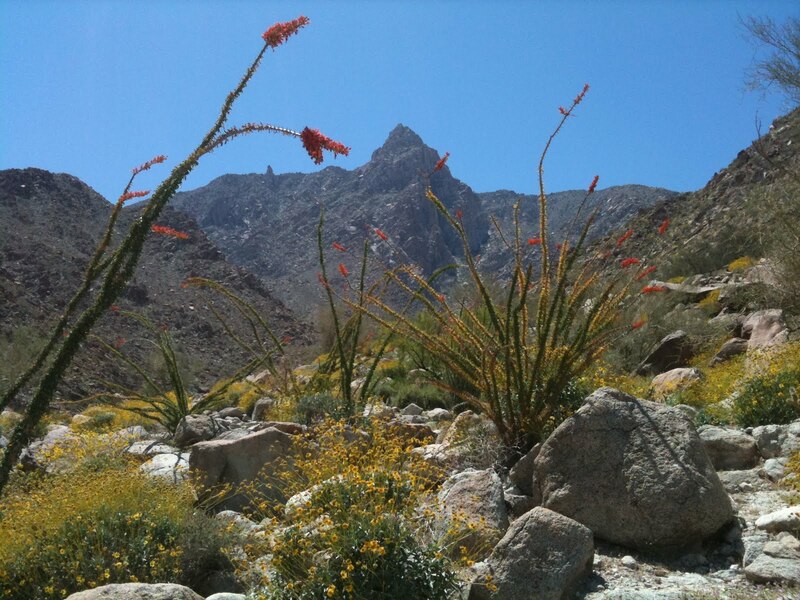 This year the desert was full of wild flowers and it was beautiful to see. Food is a big part of our trip, the menu planning starts weeks prior to our departure. This years menu was a winner, 1st night -James and I did Baby Back Ribs, Corn on the Cob, Salad w/ Hippie Ranch Dressing and Corn Muffins. 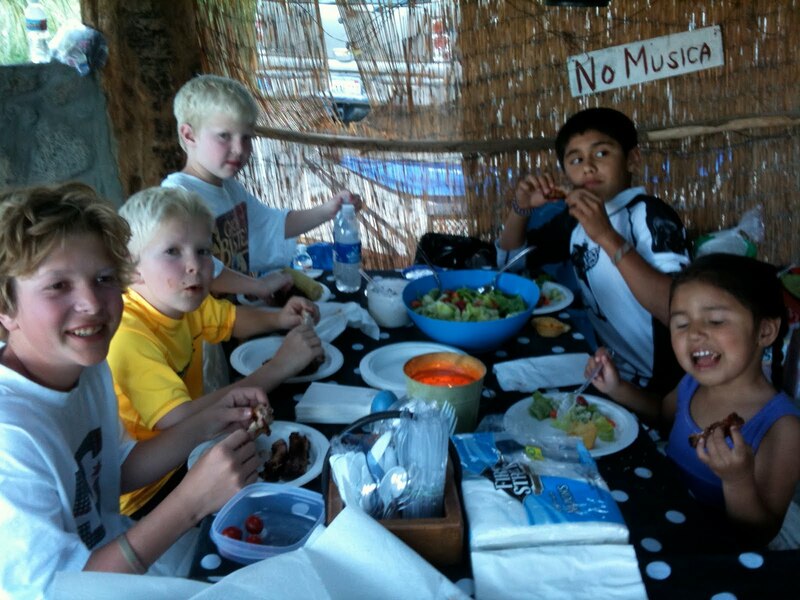 The kids love the Ribs as you can see. 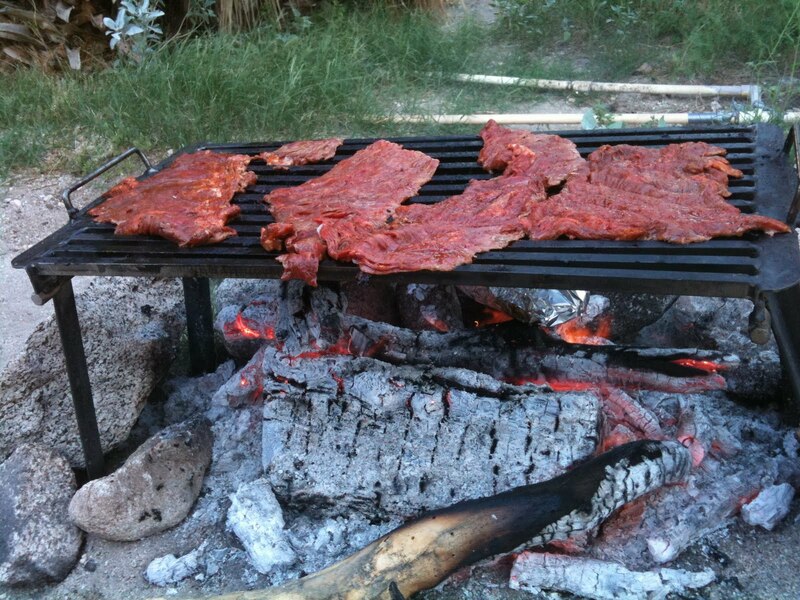 2nd night – Luis and Aida out did themselves with their annual Carne Asada feast. Luis made a new grill that worked great. Aida did her share as well prepping all the fixin’s while Luis grilled away. 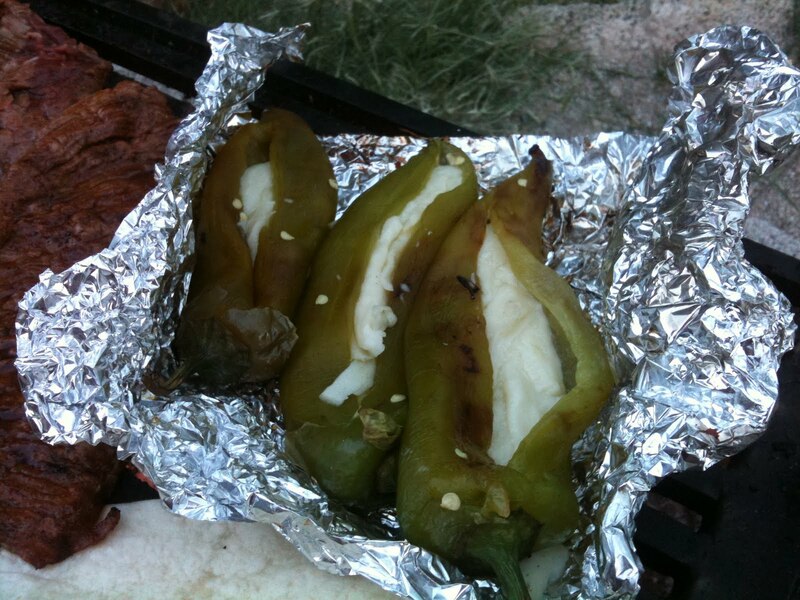 They made these cheese filled Anaheim chiles, that were totally amazing. 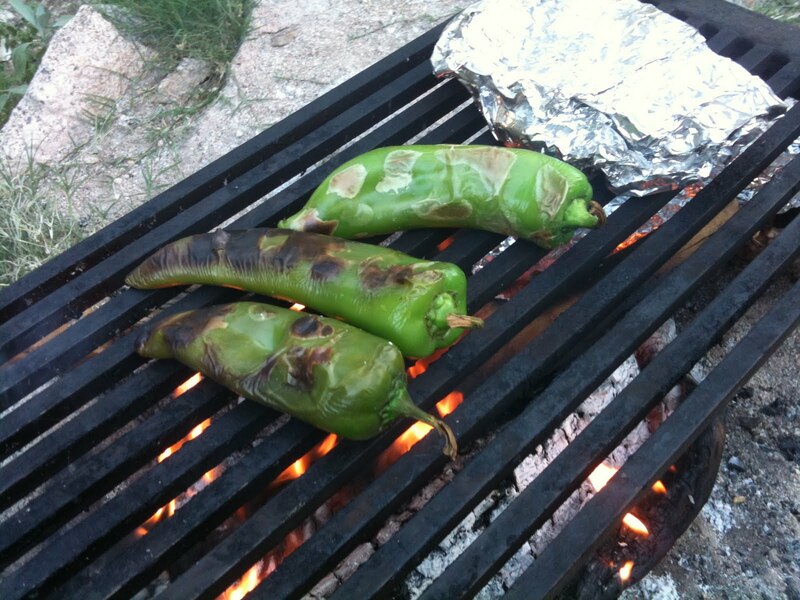 Luis grilled the chiles first. See the foil on the grill ? 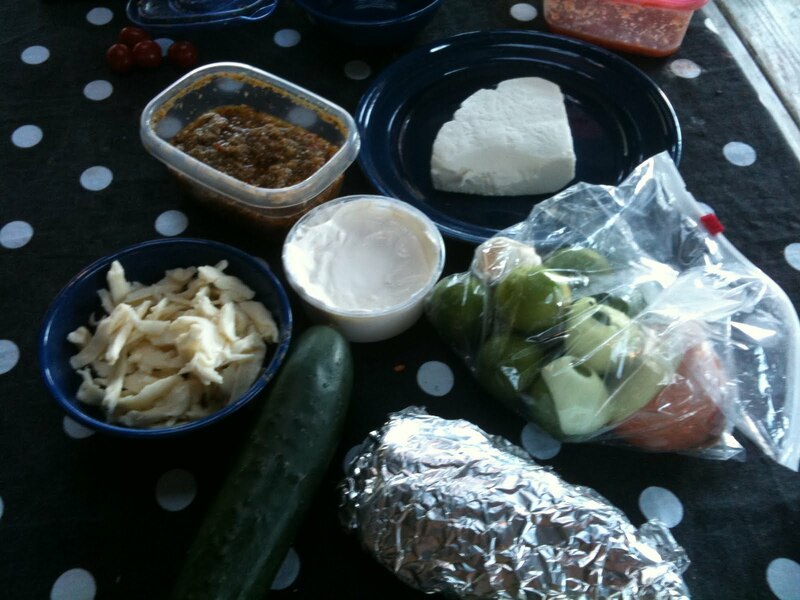 That is filled with Tomatoes and Jalapenos, he made a salsa with these, I’ll get to that in a minute. He then cleared them of their seeds added cheese and put them back on the grill. They were soft and gooey filled with Oaxaca Cheese. I want more just looking at these pics. 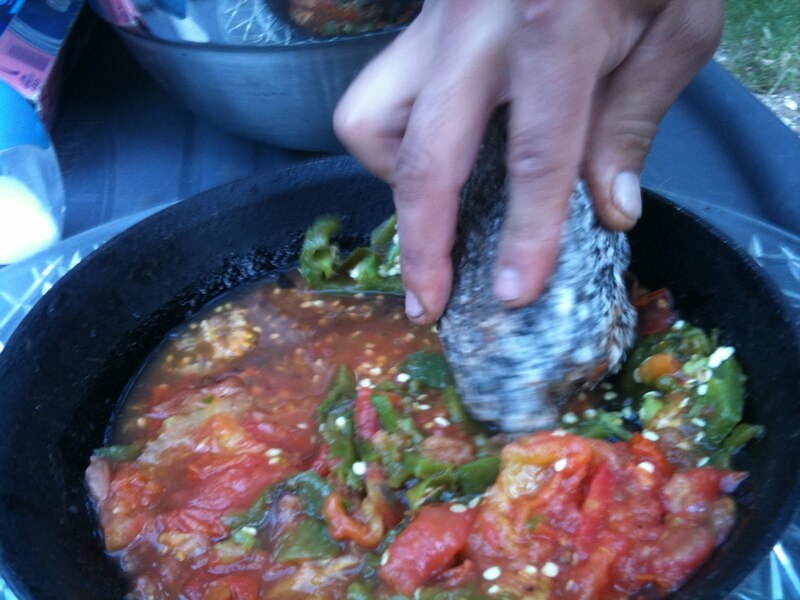 Now for the salsa, this picture is awesome, Luis smashing and stirring the grilled tomatoes and peppers with a rock. Here’s a shot of the meat grilling, all I can say is YUM. He made quesadillas for the kids right on the grill. This is Chef Luis, many many thanks for the amazing food, you ROCK ! I bow down. The Johnson’s spoiled us with a breakfast fit for hikers, Bacon, Eggs and Pancakes and later in the day Blackberry Margaritas, super yummy and they went down real nice. Joe Joe the baker got his bake on and brought us Crumb Cake Muffins, perfect with coffee in the morning. 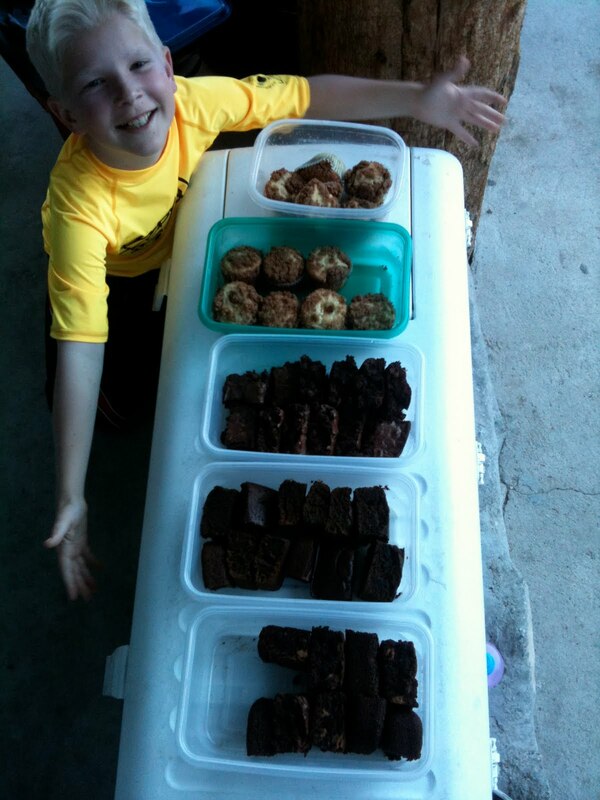 He also went big on the brownies, Peanut Butter Chocolate Brownies and regular Ooey Gooey Chocolate Brownies and he made Gingerbread that we served with fresh whip cream. We are totally rad foodies when we’re camping, it’s the Best Ever crew every time. Thanks for a great trip !! This entry was posted in Camp Food by Sarah. Bookmark the permalink. >You guys know how to party! That looks like an awesome trip!! Does Williams Sonoma carry that 'rock' smasher, or should I ask the kids to bring me one from the garden? Totally cool!! >Everything looks AMAZING! My mouth is watering just thinking about all the yummy food. >I love this…so much fun to see these great receipes keep them coming. >Yeah…I just might muster up the courage to go camping if that is the spread that gets put on!! I'm not down with the whole "grilled grasshopper" scene!! Oh, but my tent would have to have an outlet…for a chandelier. Deal?? >Sarah forgot to tell you about the S'mores that we made with Joe's brownies instead of chocolate. mmmmm, you should have been there!